Football season and 4K Ultra HD TV are here! Are you ready for some football and 4K TV? College Football and NFL seasons are here. So, are you ready? Or, I mean, is your HD TV ready or is it time to get a new one? Football season seems to be one of those times of year when you start thinking of upgrading your HD TV. Whether it’s a bigger one or jumping to the next level, it all depends. But at some point we all have to consider that jump to 4K. Prices have dropped considerably so is it time? On an average, prices have been reduced to the range $500 and even cheaper. Then there are those that are much more expensive. So, you have choices. Lots of them. Before you make the big decision, there are a few things you need to know and Shop RTO is here to help. To get the full 4K experience, you’re gonna have to get a big one or be ready to move your couch and chair closer to the screen. Ultra HD is a great viewing experience but once you get a certain distance away, the distinction loses its luster. One of the drawbacks is programming. Many shows and video streaming are not 4K produced or in the 4K format. They’re quickly becoming that way but patience is still a virtue in this arena. But this article is about football season and this Summer’s World Cup has expedited 4K programming for sports broadcast. And, sports programming is always on the forefront of the latest production formats. We’re getting at the tipping point for getting that 4K TV into our homes. And, this latest quarter sales of 4K TVs shows just that. Maybe everyone was preparing for the football season. Whatever the reasons, 4K and its format are either here for some or just around the corner for others. Who knows what the prices will be in December or January. This also may be one of those times where renting to own that 4K TV makes perfect sense. Many RTO stores are carrying them now and with the no obligation payment and can have them pick it back up at no penalty are great features. Maybe, you try that 4K out for football season and if you like it, use the early buy out option to save you money and to make sure you’re satisfied before you make that big decision on what you’ll be watching for next several years. Just another ShopRTO HD TV tip. Back to school time – Is your room ready? It’s back to school time. Whether your preparing for kindergarten or your college dorm room, get it ready for the school year. Here are some Shop RTO tips for doing so. First, the obvious. Clean it up. When you’re on the go, it’s more difficult to spend a lot of time at once. That’s why clean it up now and make sure each day you clean whatever you messed up that day so all of sudden you’re not in some paper stacked, laundry filled jungle. Wash everything! Sheets, pillow cases and clothes. Start the school year with everything clean and ready. Make your study area nice. Get new furniture if need be. Buy some plants. Decorate with paintings, photos or posters. Anything to not make it look like a prison cell. Studies constantly show your environment shapes your mood. Typically a sterile environment emanates a cold, dark presence that you don’t want to be in. You don’t want to associate studying or homework with a broom closet. Liven it up to your taste. If you have a window, use that as your basis for your room arrangement. It’s a feng shui approach. Make sure you have plenty of light and the proper type of lighting. Typically, a room needs three tiers of lighting. But in a small bedroom or dorm room, you many only need one lamp then the overhead. Make sure your computer, laptop and/or tablet is ready. Think about upgrading and getting a new one. Computers are now key in learning so you don’t want to be at a disadvantage from the get-go. 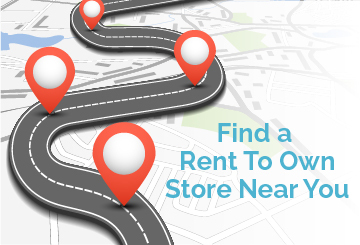 Try rent to own stores if you can’t afford one or want the latest for a small rental price. Make sure your programs are installed correctly or updated to the most recent version. If you need any of these home furnishings and can’t buy it outright or don’t want to own them due to a uncertain future of living arrangements as can be when in College then everything you need to make your room ready for school can happen through your local rent to own store. Rent the furniture for the semester or rent to own it with affordable payments. The rent to own store is responsible for delivery and pick up if you don’t want it anymore or are finished renting. And, you’re never obligated to own it and can return it at any time for any reason. Who knows? Your aunt may come in and buy you a brand new bed so that bed you just rented can go back to the store and you’re not penalized one bit. And, they’ll come and get it for you. Just another Shop RTO Home Decorating tip. Feeling under the weather? Drink some water, you might be dehydrated. Are you on top of your water game? Oftentimes we relate dehydration with Summer and warmer weather but we’re actually at higher risk of dehydration in the cooler months. The air is dryer and our lungs have to work harder to humidify and warm the air we breathe. Thus the more our bodies work, the more water we need. Ideally we should replace all fluids lost on a daily basis but with our bodies being predominately water it’s easy to lose track of just how much water intake is needed. Hydration is crucial to our bodies functionality and performance. Our immune system works best when it’s hydrated, making you less prone to Winter colds and the flu. Most would think that a dry palate is the first sign of dehydration however your body is in need of replenishment far before it flags you down with dry mouth. The rule of thumb when calculating how much water intake you need on a daily basis is to drink half of your body weight in fluid ounces; i.e. 200lbs/2 = 100oz a day. Keep in mind that if you’re exercising, the amount of water you need greatly increases. So if you’re planning some aerobic activity and want to get a more accurate reading, head over to the CamelBak website and use their handy Hydration Calculator. It will take your sweat levels, urine density, activity intensity and climate into account when providing you with a water calculation. Drinking water at room temperature keeps your internal temperature optimal. Cold water absorbs quicker so hydrating with room temperature or warmer water is advised. Minimizing sodium and diuretics such as caffeine and alcohol will also help in maintaining hydration but should you choose to indulge in either, just be sure to balance it out with water or caffeine free tea. In addition to water consumption, water based foods such as fruits, vegetables and soups also work as hydration aids. As the cooler weather rolls in and you feel the internal chill with every breath remember to nourish your body with ample fluids and stay ahead of the game this Winter because dehydration doesn’t only happen in the Summertime. ShopRTO provides consumers holiday decorating and home living tips and promotes rent to own as a shopping option for affordable home furnishings. New flare for little cost. It’s important to change things up in your home on a regular basis. A new flare for the home can be simple and inexpensive and help keep things fresh. So here’s some tips. The easiest is greenery. Get a new plant. They’re cheap, easy and healthy for you. Use knick-knacks. Go to any flea market, garage sale or trinket shop and find some eclectic accessories to place on shelves, desks and counters. Get creative and subtle and watch how they will catch the eye and a smile from your guests. A Jack Skellington figurine sitting on the kitchen window sill is a good example. How about a frame job. Find something unique and frame it. Especially if it’s personal. Get that favorite rock t-shirt and stretch it over a canvass. Get the pre-made canvasses at Hobby Lobby. They’re cheap and easy and frame it. Or use a burlap sack and paint upon it or have your kids paint on it to personalize further. Use some wallpaper. It’s in vogue and is cheap especially if you use it as a discreet background of some of your enclosed shelves. Skirt a table. There are all sorts of possibilities in what patterns and textures you can find then place it over you end tables and it’s a whole new look. Wrap it up. Take a vase, lamp post, chair legs, etc. and wrap it with some yarn, rope, paper or anything that looks nice and is durable. Stairway to haven. Add some paint or prints to your stairs and it’s instant and stylish. Check out wall decals. Just slap them on and it’s instant art and very different. And for the bathroom? Get a new shower curtain. That is sooo easy but makes all the difference. These are just a few great and cheap ideas to spruce up the home on the cheap and to keep your home from getting style stale. Just some more Shop RTO home decorating tips. Your yard is ever growing and changing. And it’s a constant battle with weeds, overhanging branches and unwelcome sprouts. Here’s some tips and areas to keep that yard in tip top shape. Trees: the shade keeps our summer energy costs down, the swing or hammock makes it the go to Sunday siesta spot and what kid doesn’t love a treehouse. But for all their benefits, your personal forest does need tending from time to time. Take those dead hanging limbs for example. Take a good look at those and see which ones need to be cut away, lest mother nature do the job for you. All it takes is a common thunderstorm and a brisk wind gust to break a branch and send it through your roof or windshield (or your neighbors) causing tremendous and costly damage. Also, while you’re out there, prune any plants that might interfere with your AC condenser and trim bushes that might be too close to the house. They can trap moisture and cultivate rot and insects. Don’t forget the bushes. If left untrimmed, they can trap moisture and invite termites and other home destroying critters. Keeping bushes trimmed can also eliminate potential hiding places for burglars or other unwanted visitors. Vines come from the ground and grow on the house. They give your house a special look, but creepy crawlies come from the ground, too, and they can use those vines to get into your house. Vines also trap moisture against the house and they can eat away the mortar in between your bricks, jeopardizing the stability of your exterior walls. So, while vines might be pretty they are not good for your house and you should trim them back regularly. If you really want to keep the vines hanging around, here’s a tip — install a garden trellis next to your house. They come in a variety of sizes and they keep vines away from your foundation. Just another Shop RTO Lifestyle and Outdoor Decorating tip. Can TVs get any thinner? Check out wallpaper TV. LG OLED TVs are about to hit the market hard. Wallpaper TVs are like looking through a window. So thin, you can’t tell if it’s poster art, a window portal or the coolest tv you’ve ever seen. But, it’s here and it seems that LG’s W7 OLED TV is the one that’s leading the next wave of ultra thin tvs of tomorrow, today. They’re as thin as a couple of quarters and made specifically for the wall. No stands or mounts. The 65 inch version weighs 18 pounds and the 77 inch weighs 27 pounds. LG’s OLED TVs also boast of emanating “perfect black” as part of it’s TV screen quality. Perfect black? Yes, for TV aficionados, they’ll know what that means. For all of us regular folk, here’s the explanation and significance. On today’s TVs, when projecting black from back lighting, there will always be some sort of light emanation. Therefore it ultimately limits the varying shades of black. OLED TVs do not thus giving them a new and wider range of darkness and contrast. Who cares? You will. When portraying a story, emotion or setting, the ability for a movie to push that contrast makes a huge difference. Especially for space movies, night scenes and, yes, horror movies. LG’s W7 also has the first internal Dolby Atmos sound. Again, what’s that to us regular Joe’s. It’s the theater experience of the 3D sound experience where you really hear the coyotes howling in the background rather than a coyote howling amongst the conversation at the bandits campfire. Which also means the fire at this scene feels on the ground rather than in their conversation. Dolby Atmos has been around just applied in a multi-speaker system you have to set up in your room. This one boasts that it is all internal. A first. So how do I get one? Can I afford one? Where can I find one just to look at? That’s the wrinkle. LG’s W7 OLED TVs start at $8000. Which is not surprising for a first of its kind. That’s actually cheaper than expected. But, this is the TV business, remember. Today’s $8000 is tomorrow’s $4000 then day after’s $2000 and so on. Maybe that’s when renting at a rent to own store will come in handy. Either rent it for awhile to see if it fits your style and home or actually rent to own it. Make sure you use the early purchase option, 90 days same as cash or rent to own it on a one-year agreement to save money. Rent to own stores probably won’t carry them for awhile but keep that in the back pocket when the prices start dropping. But, go and see and hear one. Make sure to check your local HD TV stores before to see if they’re carrying them. Just another Shop RTO handy dandy HD TV tip. ShopRTO provides consumers information about cool futuristic gadgets and when rent to own is right for your family budget. Do I have my appliance repaired or replaced? Read these tips. When do repair or purchase home appliances. Appliance repaired or get a new one? Good question. Repairing or replacing refrigerators, washers/dryers, dishwashers and stoves can pose a tricky situation. Appliances are expensive enough to warrant repairs but repairs can also be too expensive to be worth it. Where do you draw the line? Obviously, those appliances under warranty are not a factor in this discussion. It’s those appliances that you’ve had in the 4-7 year range that leave you with that tough decision. Experts say the most dominant factor when making your decision is how old that appliance is and how expensive a model you have. If the repair cost is more than one-half of the cost to purchase one then toss it and buy a new one. Many respondents felt that appliance repairs would be too costly and too much of a pain-in-the-who-know-what that they didn’t even consider repairing and bought a new one. DO NOT do that. Appliance repairs can be easy and relatively cheap so always explore that option. Do not repair anything that costs $200 or less to buy new such as a garbage disposal. Not worth it. Most respondents had the best experiences with independent contractors. In these days, ask your friends and neighbors through Facebook or Neighborhood forums who the best appliance repair person is. You’d be amazed how quickly and good referrals you will get. Most appliance repairs can be made at home. It’s not as inconvenient as you may think. If you end up having to buy a new one, the good news is that they will be more energy efficient. And, remember, if you’re left without an appliance for a couple of days, go to a rent-to-own store and rent one while you’re shopping around. Or, if you can’t buy outright consider rent-to-own. But only if it makes sense. Use ShopRTO’s best practices to see if rent-to-own is better than a credit card in your circumstance. And, if you want to buy used, go to a rent-to-own store as they can have some of the best “used” deals in town.